HMRC do say that they understand that sometimes people really do have genuine, truthful reasons why they didn’t complete their online self assessment form on time. 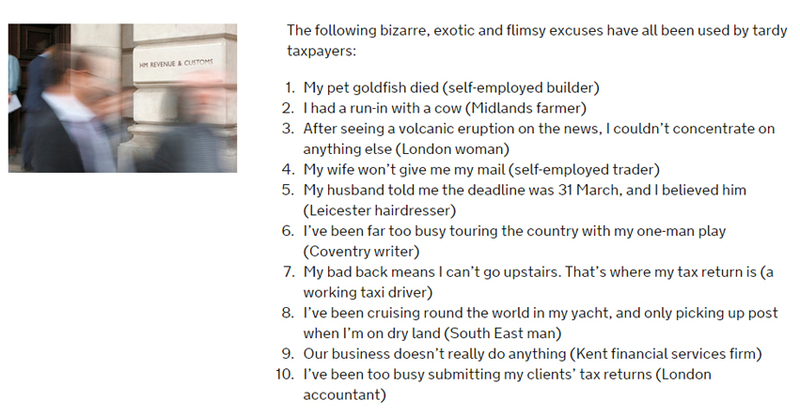 Here are a selection of excuses which really haven’t helped the individuals cause – my favourite is the death of the goldfish. So have you managed to complete your return or are you still struggling with the deadline? What great excuses can you come up with?